Italian Baroque painter. 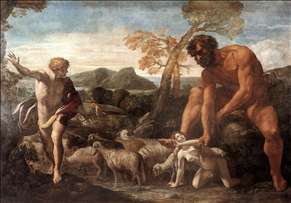 He was born near Parma, where he was a pupil of Agostino Carracci, and was also much influenced by the domes by Correggio. He was in Rome in 1612, and about 1616 decorated the ceiling of the Casino Borghese in a manner derived entirely from the Farnese Gallery. 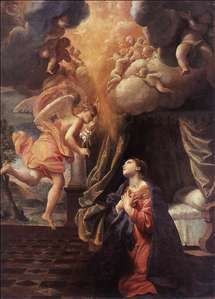 He developed Correggio s sotto in s type of illusionism to an extravagant point, and painted several domes and apses in Roman and Neapolitan churches in this manner. To him Domenichino lost part of the commission for the decoration of S. Andrea della Valle in Rome, a slight he resented so bitterly that - so the story goes - he weakened part of the scaffolding, hoping that Lanfranco would break his neck. Lanfranco completed the dome with an Assumption, Correggiesque in inspiration, between 1625-27, and such was its success that he was then employed at St Peter s until 1631. 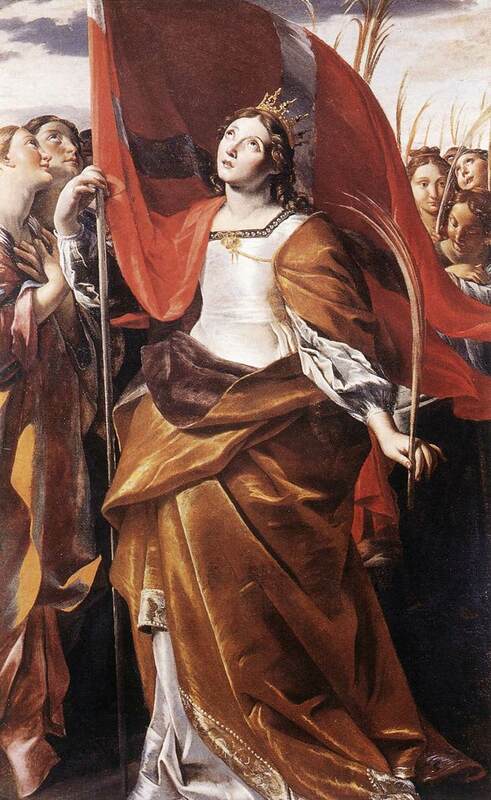 From 1633/34 to 1646 he was in Naples, and in 1641-43 painted the dome of the S. Gennaro chapel in the Cathedral, which by its more up-to-date illusionism and greater showiness appealed far more to local tastes than Domenichino s works there. 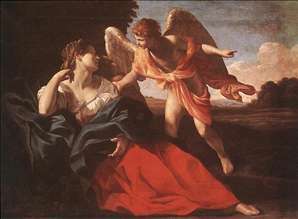 His dome is based on Correggio s type of illusionism and replaces one actually begun by Domenichino. 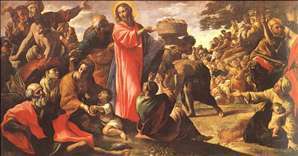 He died in Rome, where his last work was the apse of S. Carlo ai Catinari. Apart from Rome and Naples, there are works in Amsterdam Berlin, Dublin, Florence (Pitti), London (Coram Foundation), Lyons, Madrid (Prado), Marseilles, Oxford (Ashmolean), Paris (Louvre), Parma, St Petersburg, Versailles and Vienna. 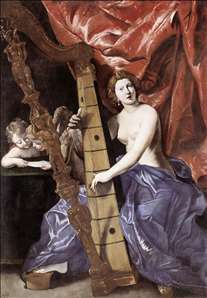 See more details about "Venus Playing the Harp (Allegory of Music)"
See more details about "Hagar in the Wilderness"
See more details about "Miracle of the Bread and Fish"
See more details about "Norandino and Lucina Discovered by the Ogre"
See more details about "St Ursula and the Virgins"